Adrian Oxaal, American-born English musician with the band James was born 20th March 1965. James were formed in 1982 in Whalley Range, Manchester, when Paul Gilbertson persuaded his friend Jim Glennie to buy a bass guitar and form a band with him. the band renamed themselves James in August 1982. A gig at The Haçienda caught the attention of Tony Wilson of Factory Records. He offered James an album deal with Factory, but the band, by now a settled live act, were worried about tarnishing their material in the studio and settled instead for a three-track EP. Their debut release, the Jimone EP, The band’s second EP, James II, was released over a year after the first album. Their third release, the Sit Down EP (no relation to the song of that name) came out in February 1986, and was followed by their debut album, Stutter in July of that year. the band recorded their second album, Strip-mine, with a more conventional song structure sadly the album almost went unreleased, but after undergoing a slight remix to sound more radio-friendly,it was released in September 1988. In 1989 James greatly expanded their lineup and sound palette by hiring three new members — guitarist-violinist-percussionist Saul Davies (whom Gott recruited from an amateur blues night), keyboard player Mark Hunter and onetime Diagram Brothers/Pale Fountains trumpeter/percussionist Andy Diagram (the latter a noted avant-garde musician). This new seven-piece line-up went into the studio to record the third James album. Gold Mother which was released IN 1990 which contained the songs SIT DOWN and COME HOME and coincided with the’Madchester’ movement, with its wave of popular Manchester-based indie bands, This focused public attention on James and won them mainstream recognition.More Singles including “How Was It for You”, the remixed “Come Home” and “Lose Control” soon followed. The band’s newfound success was re-affirmed when they played two sell-out dates at the Manchester G-Mex at the end of the year. In March 1991, when the popularity of “Sit Down” led to a re-recorded version being released as a single, Gold Mother was re-released to include “Sit Down” and previous single “Lose Control”, and the album sold ten times more copies than Travis originally predicted. The song became one of the biggest-selling singles of the year. The band members spent the rest of the year recording their next album, Seven, which was released in February 1992. In 1993 James were invited on an acoustic tour of the US supporting Neil Young at a series of natural outdoor venues in the autumn. They returned to England refreshed and ready to record their new album with Brian Eno.The process resulted in not one but two albums: the ‘song’ album, Laid, which was released in 1993, and the experimental Wah Wah, which showcased the band’s improvised jams recorded on the spot, then mixed by Eno. Although The recording of the follow-up album was dogged by difficulties from the start The new James album, Whiplash, followed in February 1997 & proved a successful comeback, reaching the UK top 10 as did the single “She’s a Star”.. The band then returned to the studio to begin work on their next album, Millionaires, which was released in October 1999 but did not reach the phenomenal sales level predicted. After the disappointing performance of Millionaires the band chose to start anew in their approach to their next album, working with Eno once again. They spent most of 2000 recording the album; writing the songs, then performing them live before actually recording them. They embarked on a small-scale tour in the autumn of that year on which their setlists consisted almost entirely of new material. The resulting album, Pleased To Meet You, was released in July 2001. Shortly after its release, Tim Booth announced he was leaving the band to concentrate on other projects of his own. They played a farewell tour of the UK at the end of the year. Their final hometown gig, at the Manchester Evening News arena on 7 December, was recorded for a live CD and DVD, Getting Away With It… Live. Burroughs was born on September 1, 1875, in Chicago, Illinois (he later lived for many years in the suburb of Oak Park). he was educated at a number of local schools, and during the Chicago influenza epidemic in 1891, he spent a half year at his brother’s ranch on the Raft River in Idaho. He then attended the Phillips Academy in Andover, Massachusetts, and then the Michigan Military Academy. Graduating in 1895, and failing the entrance exam for the United States Military Academy (West Point), he ended up as an enlisted soldier with the 7th U.S. Cavalry in Fort Grant, Arizona Territory. After being diagnosed with a heart problem and thus ineligible to serve, he was discharged in 1897. Some drifting and ranch work followed in Idaho. Then, Burroughs found work at his father’s firm in 1899. He married childhood sweetheart Emma Hulbert (1876-1944) in January 1900. In 1904 he left his job and found less regular work; some in Idaho, later in Chicago.By 1911, after seven years of low wages, he was working as a pencil sharpener wholesaler and began to write fiction. By this time, Burroughs and Emma had two children, Joan (1908–72), who would later marry Tarzan film actor James Pierce, and Hulbert (1909–91).During this period, he had copious spare time and he began reading many pulp fiction magazines. In 1929 he recalled thinking that …if people were paid for writing rot such as I read in some of those magazines, that I could write stories just as rotten. As a matter of fact, although I had never written a story, I knew absolutely that I could write stories just as entertaining and probably a whole lot more so than any I chanced to read in those magazines. So he did, and the exciting science-fiction exploits of Barsoom debuted in 1912 and featured a Confederate American Civil War veteren from Virginia named John Carter, who inexplicably finds himself transported to the planet Mars and discovers that far from being dead, Mars, which is known as “Barsoom” by the locals) is actually inhabited by 12-foot tall barbarians called Tharks, Intelligent & scientifically minded red skinned people from the neighbouring City of Helium, villainous Warlords, Pirates, Giant White Apes and vicious thugs named Warhoons. 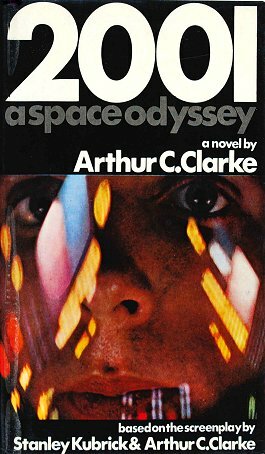 Carter discovers that the land is in turmoil and the various inhabitants are at war with each other over th planets dwindling resources and the situation is being manipulated by shadowy forces. 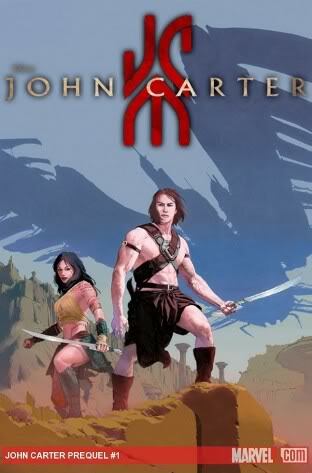 So he undertakes a perilous journey across Barsoom, encountering many dangers along the way, in order to unite the population against a common enemy and fairly soon he finds himself in the midst of all-out war between the forces of civilization on Mars and those of destruction and the outcome will determine the fate of everyone on Barsoom.